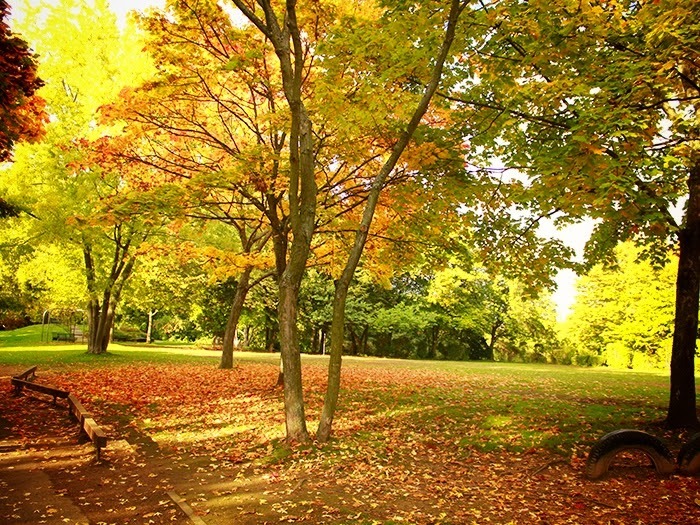 Another beautiful season has come. Autumn is there! One of my favoutite seasons of the year. 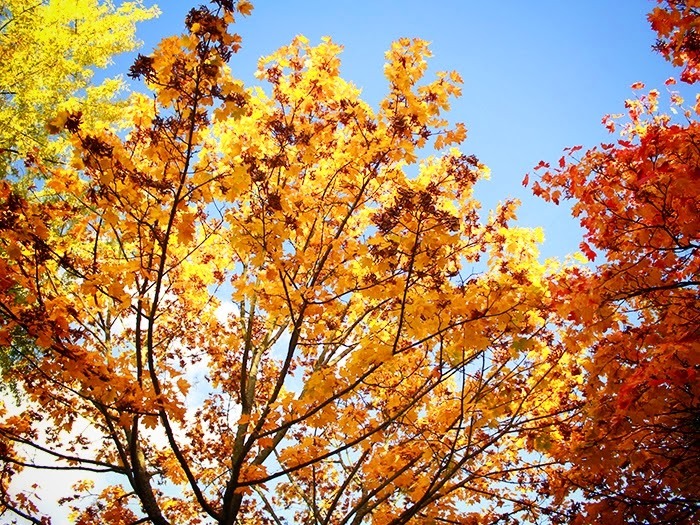 I really love to see how the leaves turn from green to yellow, brown, red and gold. The weather is just so perfect. It's neither too cold nor too hot. 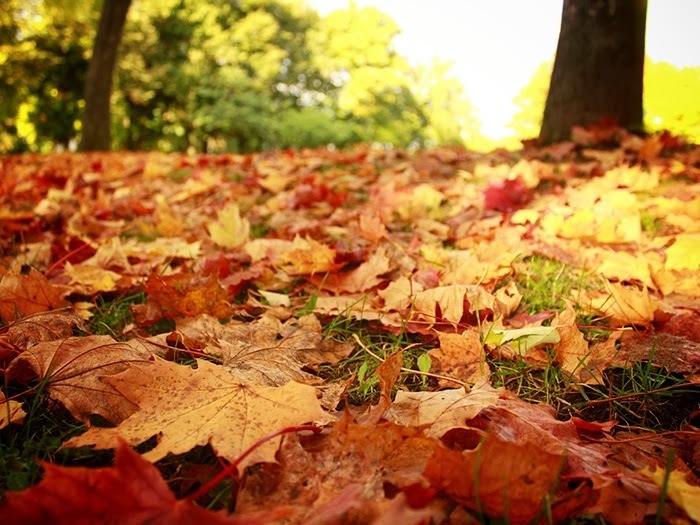 Die nächste schöne Jahreszeit ist da: Der Herbst! Einer meiner Lieblingsjahreszeiten. Ich liebe es zu sehen, wie die Blätter alle Farben annehmen: Von grün zu gelb, braun, rot und gold. Das Wetter ist so perfekt. Es ist weder zu heiß, noch zu kalt. You look amzazing! Beautiful pictures! 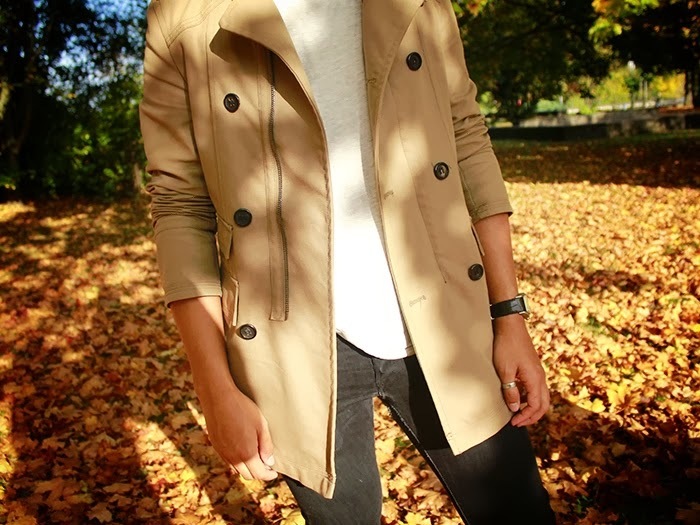 Gotta love the classic trench, nothing beats it! 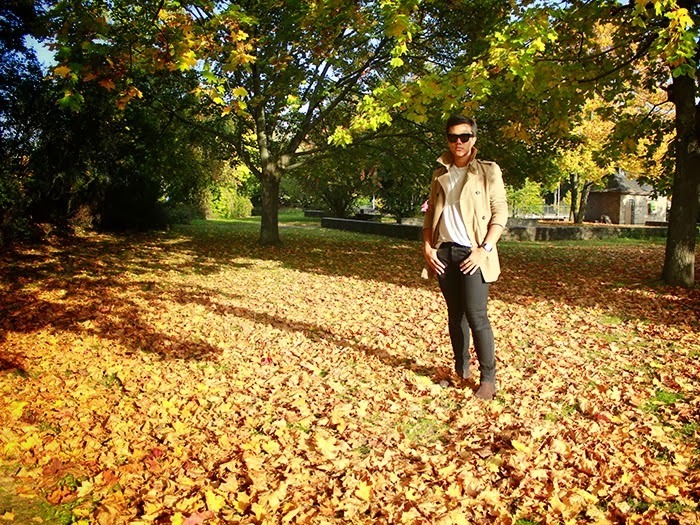 Great location for photos too, the leaves are beautiful. I love these photos, its a nice place! Awesome blog! new follower on bloglovin , follow? Loving these pictures the fall leaves are amazing. Love that trench too! Wow! All these leaves look like gold. Great pictures and a lovely outfit! Great jacket! 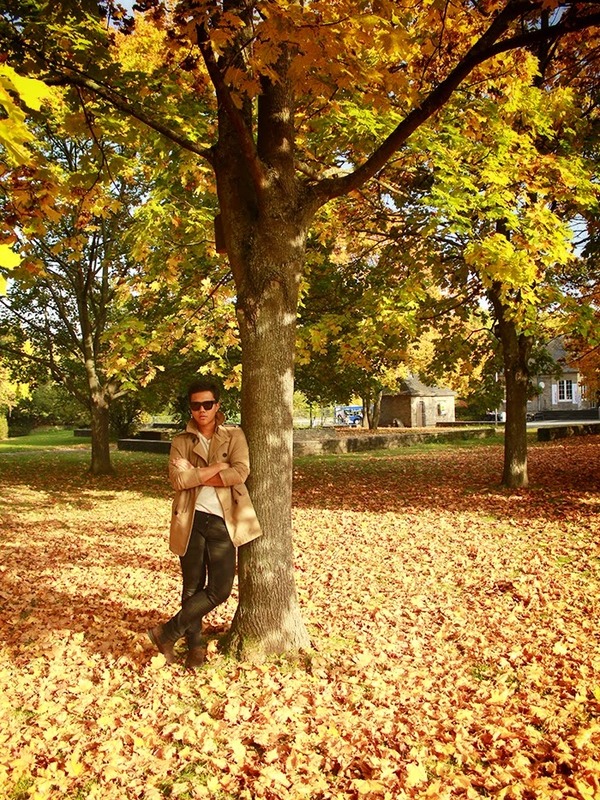 And i really love the autumn atmosphere here! These pictures are amazing. You really pop on your neutral colors against the bright leaves. 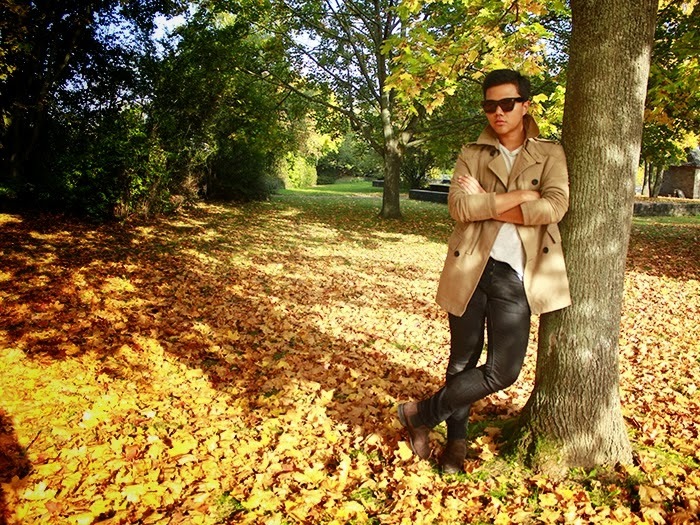 Love the jacket and the setting of your pictures! a trench coat is so timeless and classic. you look great and the background is just perfect with this outfit! Love your blog! You are so original and your pictures are so inspiring to me!